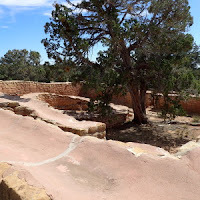 The Mesa Verde landscape is a remarkably well-preserved prehistoric settlement landscape of the Ancestral Puebloan culture, which lasted for almost nine hundred years from c. 450 to 1300. 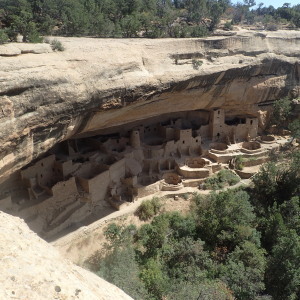 This plateau in southwest Colorado, which sits at an altitude of more than 2,600 meters (8,530 Ft), contains a great concentration of spectacular Pueblo Indian dwellings, including the well-known cliff dwellings. 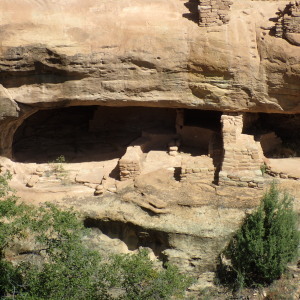 This rich landscape provides a remarkable archaeological laboratory for enhancing our understanding of the Ancestral Puebloan people. 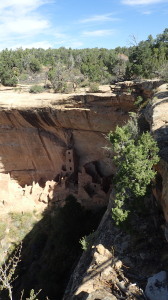 Some 600 cliff dwellings built of sandstone and mud mortar have been recorded within Mesa Verde National Park – including the famous multi-storey Cliff Palace, Balcony House, and Square Tower House – and an additional 4,300 archaeological sites have been discovered. 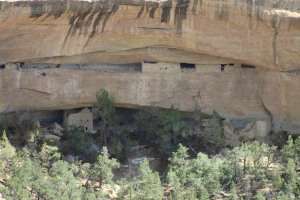 The cliff dwelling sites range in size from small storage structures to large villages of 50 to 200 rooms. 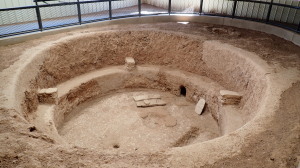 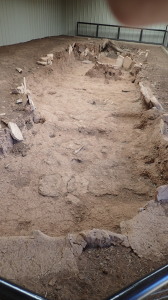 Many other archaeological sites, such as pit-house settlements and masonry-walled villages of varying size and complexity, are distributed over the mesas. 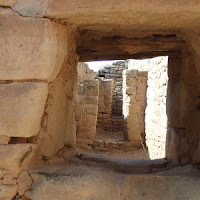 Non-habitation sites include farming terraces and check dams, field houses, reservoirs and ditches, shrines and ceremonial features, as well as rock art. 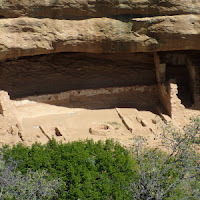 Mesa Verde represents a significant and living link between the Puebloan Peoples’ past and their present way of life." 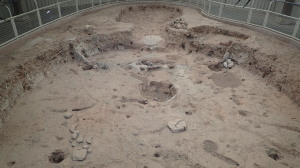 Early people of 4000 B.C. 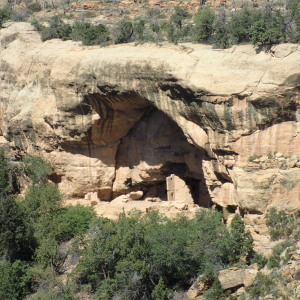 I could have spent many days exploring all the features of this park. 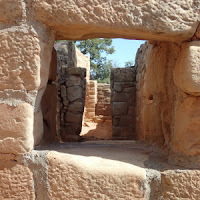 The main archaeological features are are located at the far end of the entrance road that climbs for almost 20 miles. 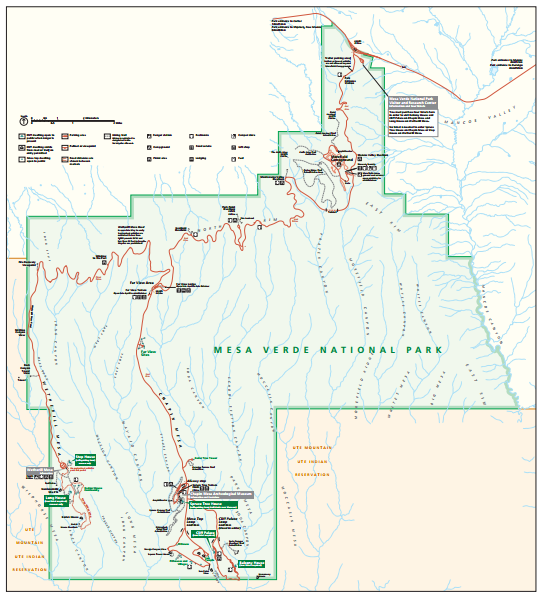 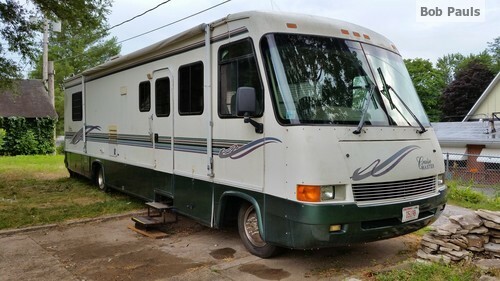 RV campgrounds are located near the park entrance and in nearby towns. You need to visit this park! It's on my bucket list now, too - fascinating pictures and info. Thanks for sharing!